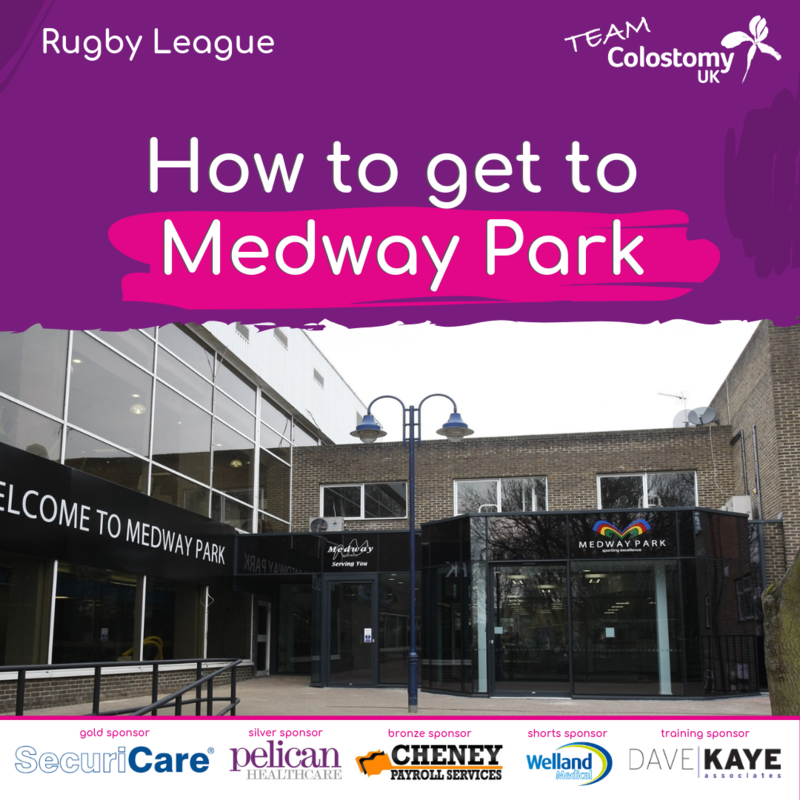 Team Colostomy UK’s first Rugby League match this year is fast approaching! On Saturday 20th April we take on the Medway Dragons in a friendly match and anyone is welcome to come along, join in and enjoy the day. The game kicks off at 1pm, we have advised players to arrive for 11.45am and estimate that proceedings should have wrapped up by about 2:30pm. Several bus routes service the Brompton Road. Download a comprehensive bus route to find the bus service you need or have a look at bus timetables. Gillingham railway station is approximately ten minutes walk from Medway Park. Visit www.southeasternrailway.co.uk for times and information. Walking from the Train Station simply head straight forwards through the town centre, and you can’t miss the venue! Please note that there is a pay and display car park available and centre users will be able to obtain a refund of parking fees up to a maximum of four hours. Part of the parking ticket will need to be presented to Leisure Centre reception upon entering.